Hello everyone! After a run I want to recover as fast as possible! I think you want the same! So what to eat after a workout ? Guest blogger and friend Veerle van der Stok has the answer. Protein is essential to recover from workouts and competitions. It speeds up your recovery after an intensive workout. Hempseeds are natural proteins. 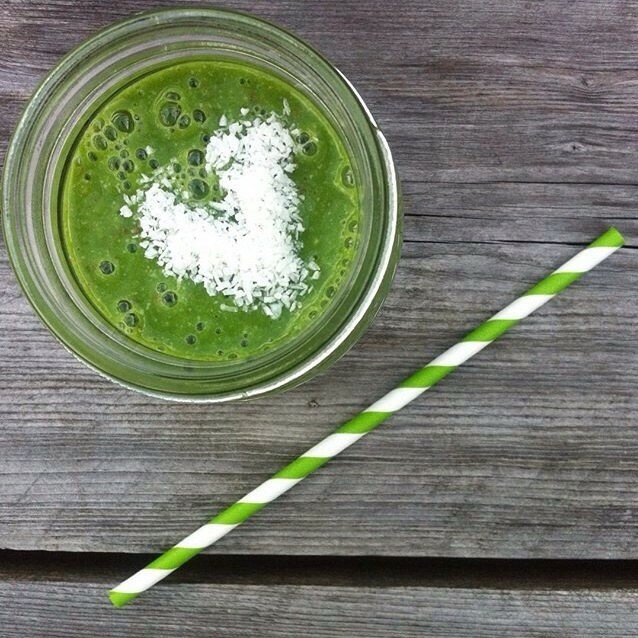 So here is the secret for a quick recovery after a workout: Use one spoon hempseeds in your ´Green Machine´ smoothie. This delicious smoothie takes only two steps! First you cut the banana and pear into small slices. Then you throw everything in the blender and you mix the ingredients into a smoothie. Put the smoothie in a glass and throw some grated coconut on it. Enjoy! Vorig bericht Running a marathon.. Why?